BYOD: What Does a Company Do? The next evolution in WiFi Access As people become more comfortable with technology, they are increasingly utilizing their own personal devices for their work. They may ask, how do I bring my own device to work? Business networks are not only accessed by employees via their workstations, but also by smart phones, tablets, notebook computers and other handheld devices. Commonly referred to as BYOD or Bring Your Own Device, this phenomenon refers to employees, business travelers and students all over the world who expect to be able to use these devices at work, while traveling, at a hotel, or while at school – making security a concern for many IT departments. As people use these devices to access software and services, via the Web (like Google+ or DropBox) it is increasingly important that businesses understand how to ensure security, while also allowing for the increased productivity and convenience that wireless devices provide. In a recent study, nearly 84% of IT managers were said to believe that having a BYOD policy could offer a competitive advantage in the workplace. Offering employees the flexibility of utilizing their own devices, remote working and employing collaboration software are proven ways to attract and keep talent. The effectiveness of your system to manage these coming changes will affect the bottom line of your business in terms of security, employee productivity, satisfaction and retention. 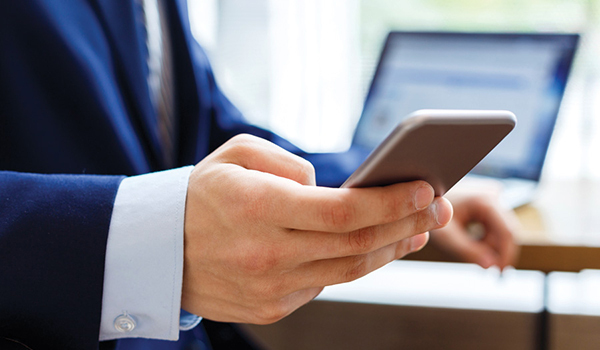 As BYOD quickly becomes the standard in the industry, people will come to expect the seamless, secure connectivity that it offers. If done effectively; enforcing policy, creating extra layers of security, and ensuring data loss prevention, BYOD can lead to an increase in employee satisfaction, thus enabling your business to mobilize your workforce while maintaining a secure network. How Does BYOD Work? On a very basic level, BYOD involves a person utilizing their personal laptop or computer to access their work. For example, if an employee has a laptop for personal use, and a workstation at the office, they may typically want to use their laptop when away from the office, at home, or while traveling, to access their company’s network. Experts believe that more than 50% of the smartphones being used by employees aren’t company owned and that these workers access corporate applications and data through their own mobile devices . Security is a major concern for BYOD. This can be addressed by IT departments making BYOD policy a priority, and outlining detailed security requirements for their networks. Good policies include not only network security, but where and when employees use your wireless network, to ensuring protection when an employee leaves or is fired. Some measures may include requiring a network password, or prohibiting certain applications from being downloaded on a network. Many companies choose to apply full encryption for all data – whether it is on a disk, USB device, or even in cloud storage. One of the benefits of newer mobile devices is the ability to wipe all data clean from the device should it be lost or stolen. Identify the vulnerabilities of your current network for BYOD. Decide which devices are acceptable for your BYOD program. Develop internal policy for password control, remote device management, data encryption for hard drive, cloud and disk storage. Communicate with employees about what devices may be utilized and the security requirements for those devices. Reassess your BYOD plan annually to improve security and manage emerging technologies. Define Employee responsibility: from personal passwords, to data backups and anti-viral protection, make sure employees have met all of your security requirements and corporate policies on their devices. Integrating with existing network segmentation and security architectures, authentication protocols, and directory services. Onboarding tools and workflows that are foolproof for users and simple to implement by IT staff. Monitoring for troubleshooting and policy changes over time. The Wave of the Future BYOD is already becoming a popular offering in businesses across the world. Now is the time to take the steps necessary to prepare your network systems to support the new technologies that are evolving within the WiFi ecosystem. A review of your existing network will determine what is needed in order to ensure that your system is capable of supporting BYOD and all of the applications and devices that it supports. There are a number of ways that businesses can approach BYOD, but ensuring that your wireless infrastructure can handle the extra capacity is the first step. With a proactive approach to monitoring your network and communicating with your employees, a successful and scalable BYOD program can mean improved employee satisfaction, and increased productivity for your business. Deep Blue Communications, a leader in wireless network design, installation, monitoring and customer support, has one of the highest customer satisfaction ratings in the industry. They build WiFi networks that meet the high expectations and demands of their clients, and their client’s customers, needs.